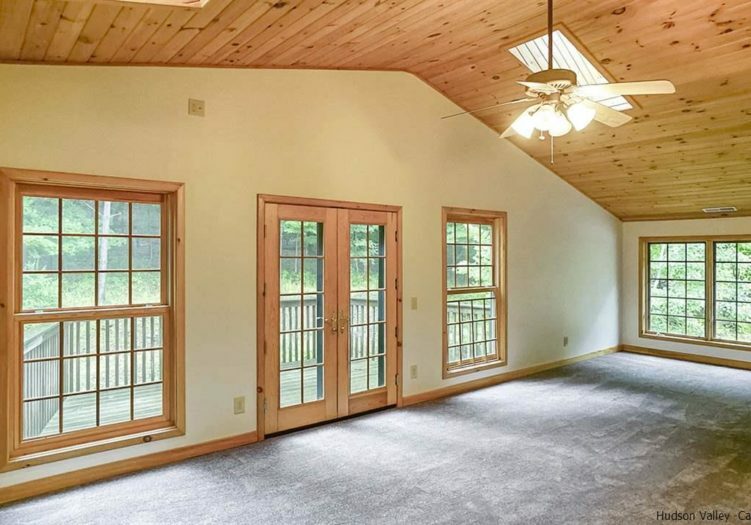 Your turn key dream home is ready for you. 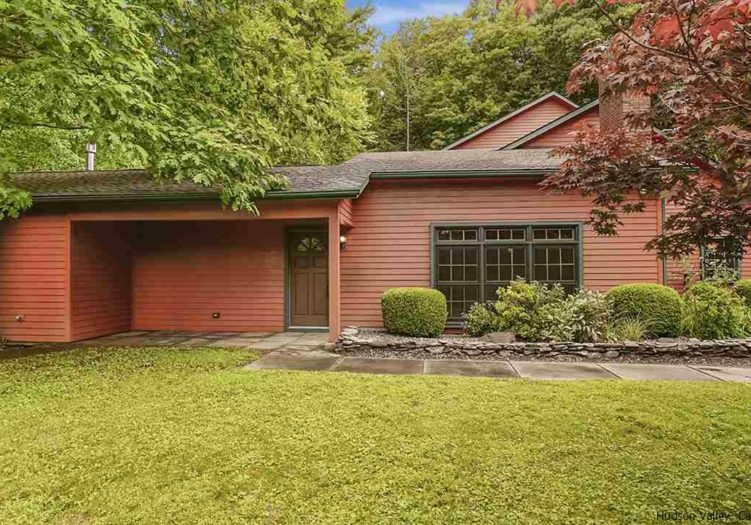 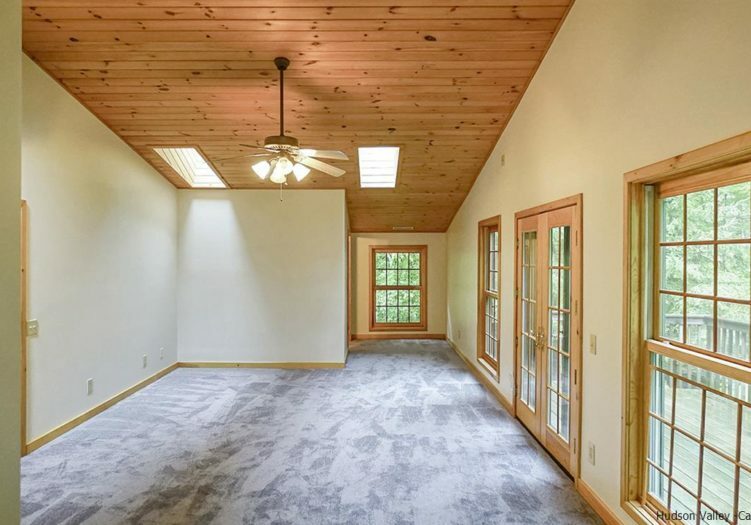 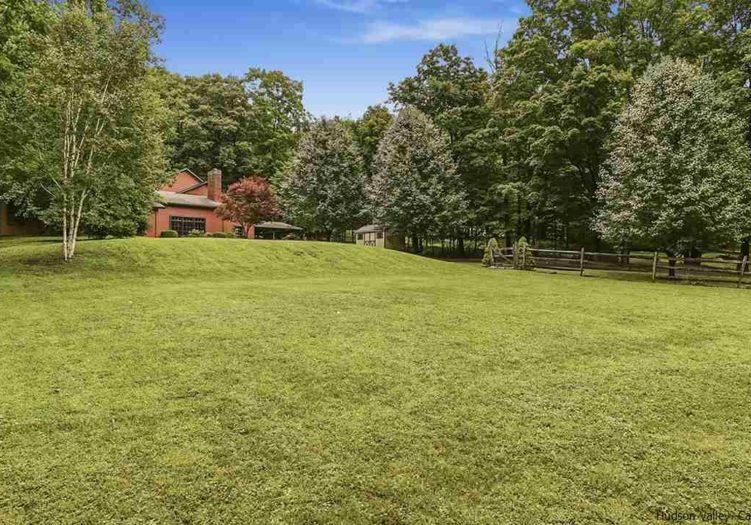 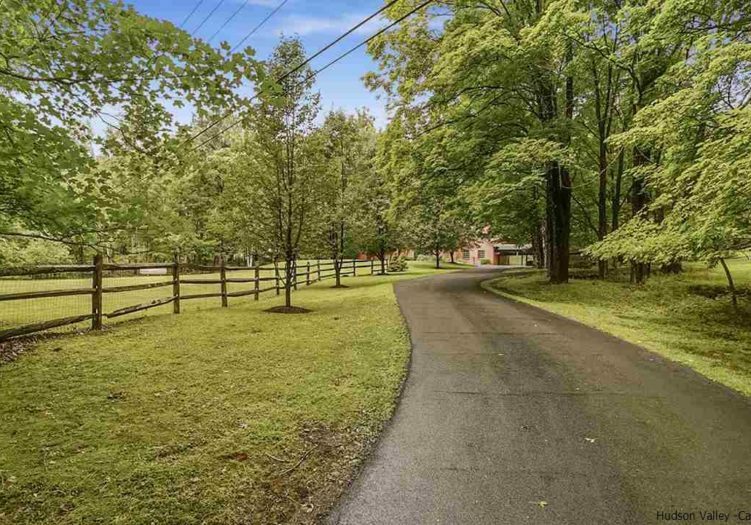 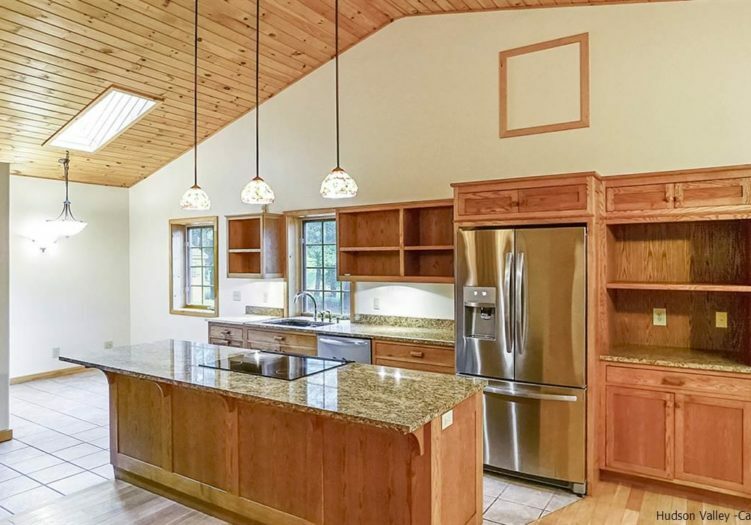 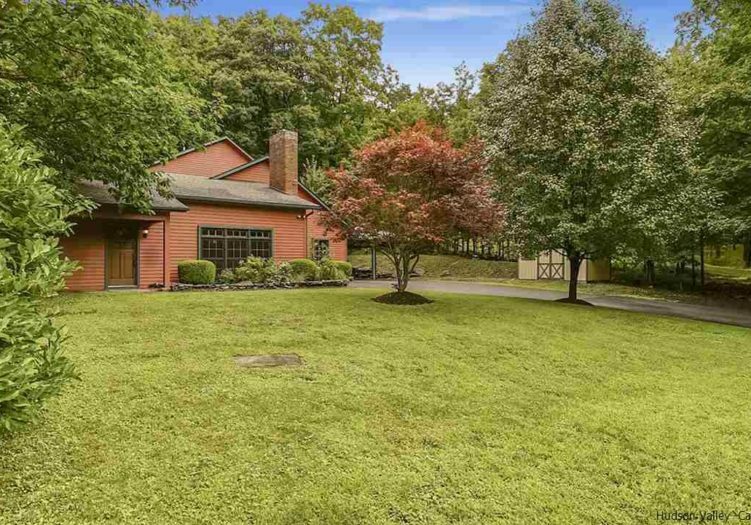 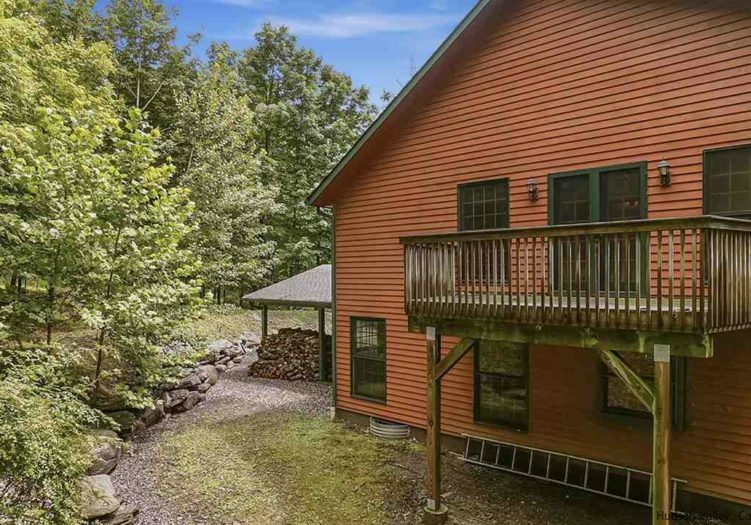 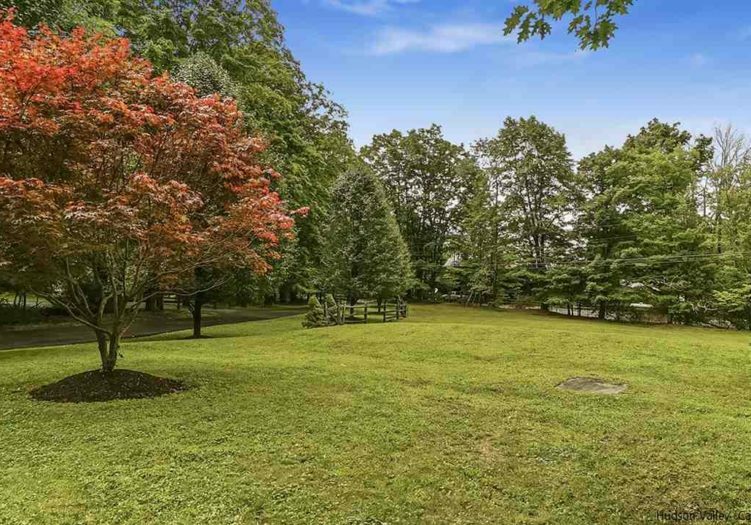 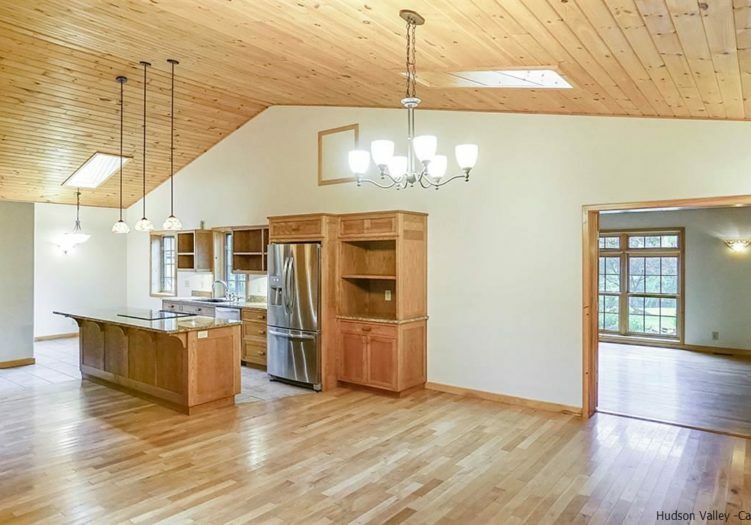 This beautiful 4 bedroom, 3 full bath, remarkably constructed home on almost 2 acres is conveniently located minutes from the center of the Village of Woodstock. 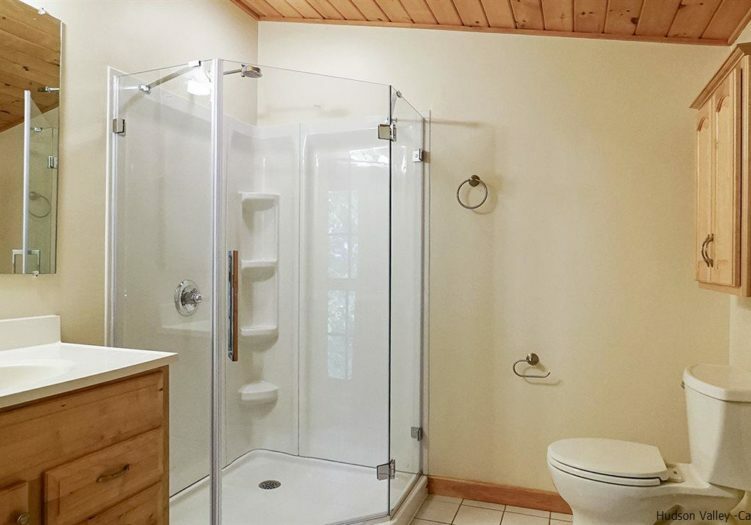 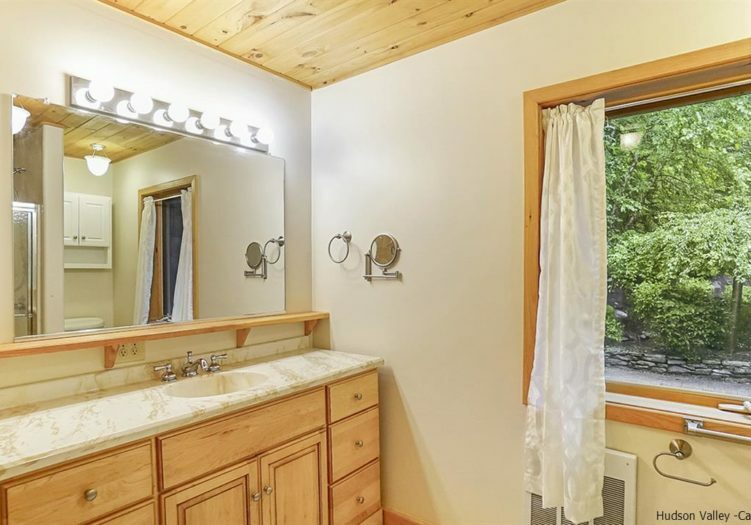 Set back off a picturesque road, there is privacy without feeling remote. 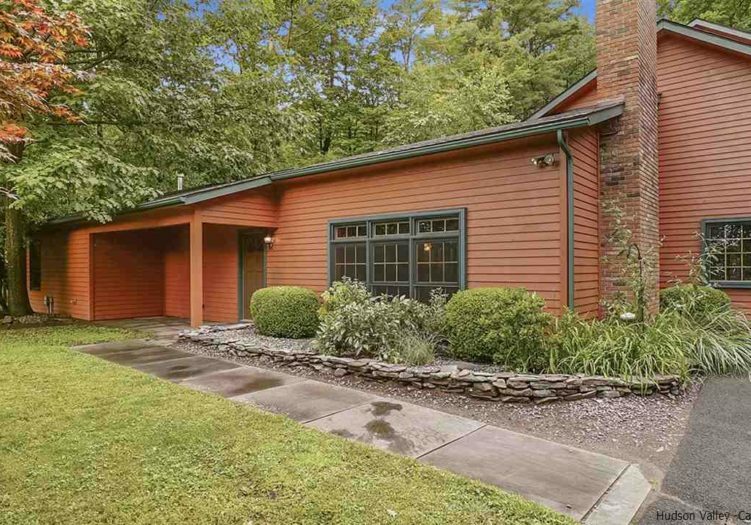 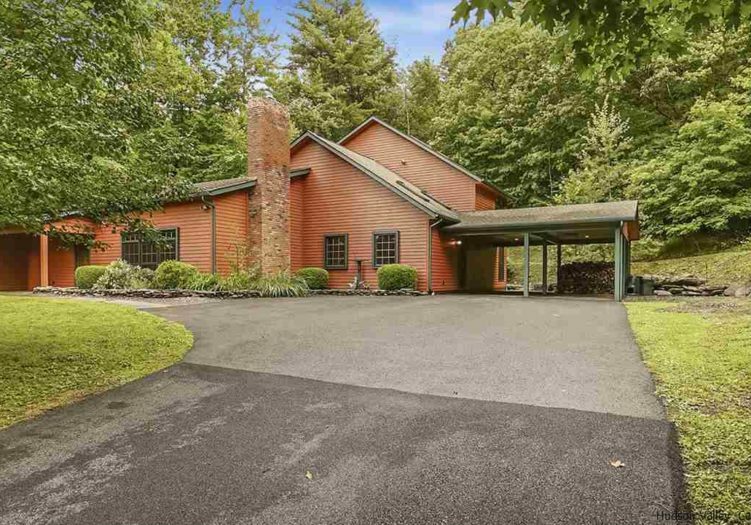 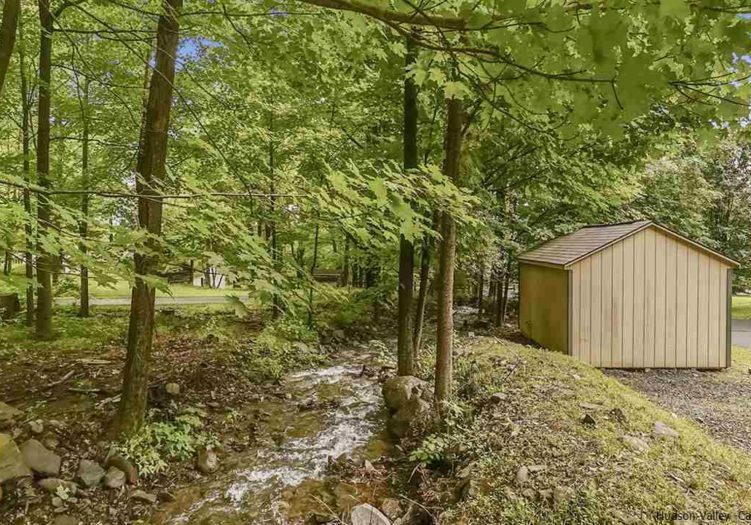 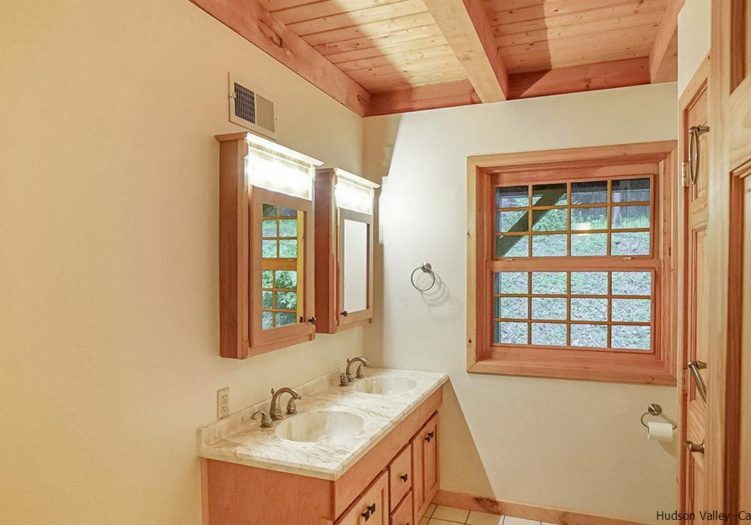 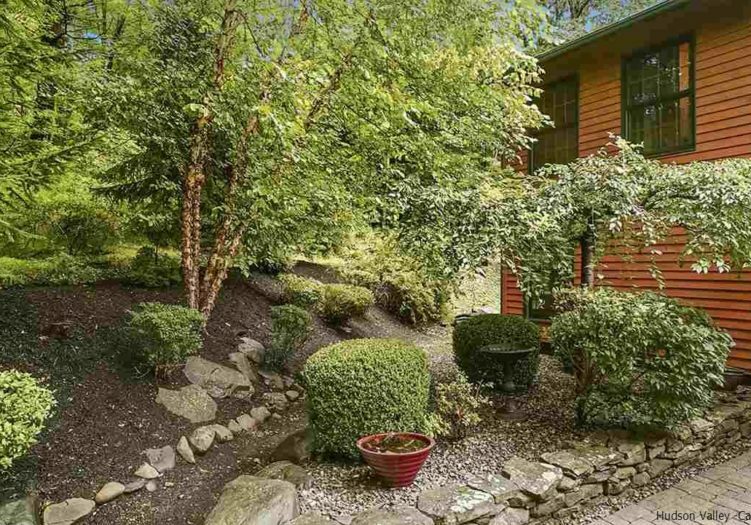 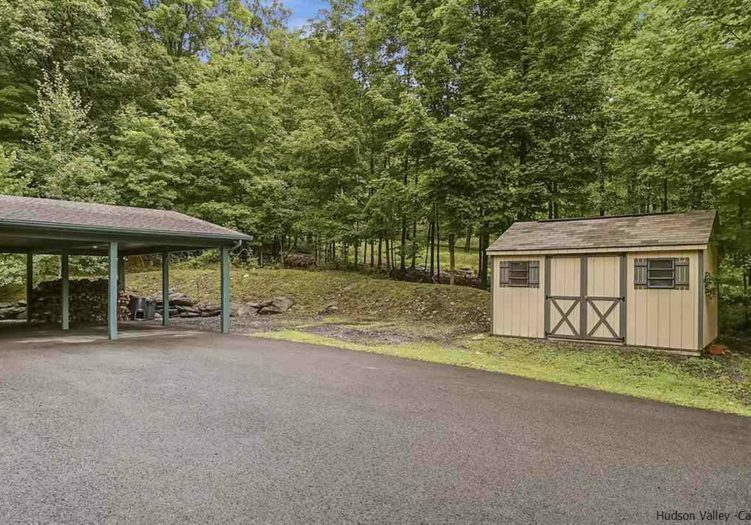 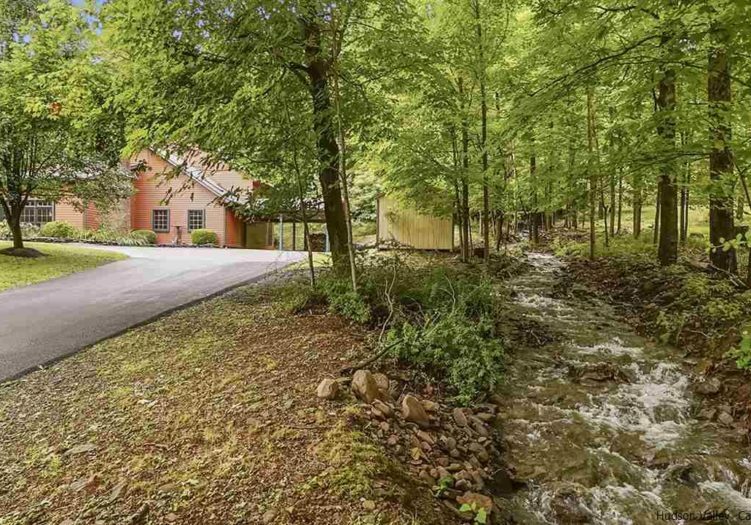 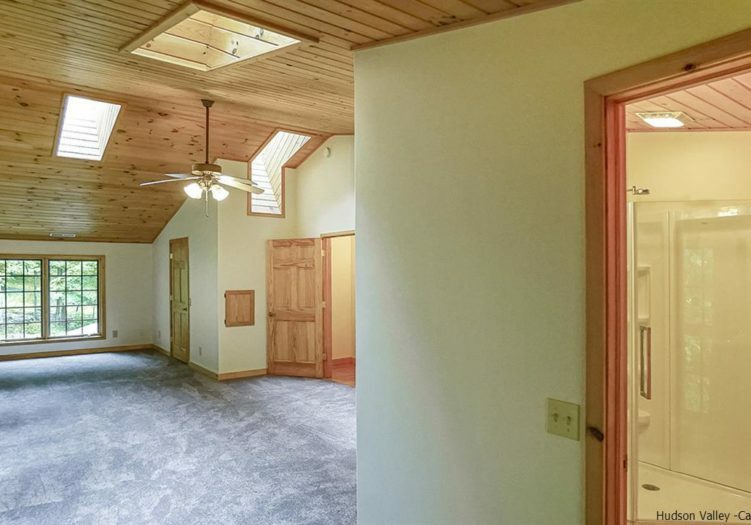 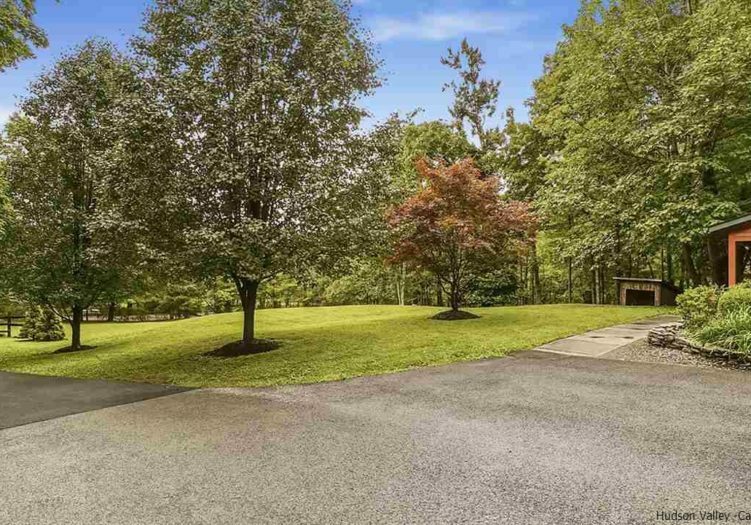 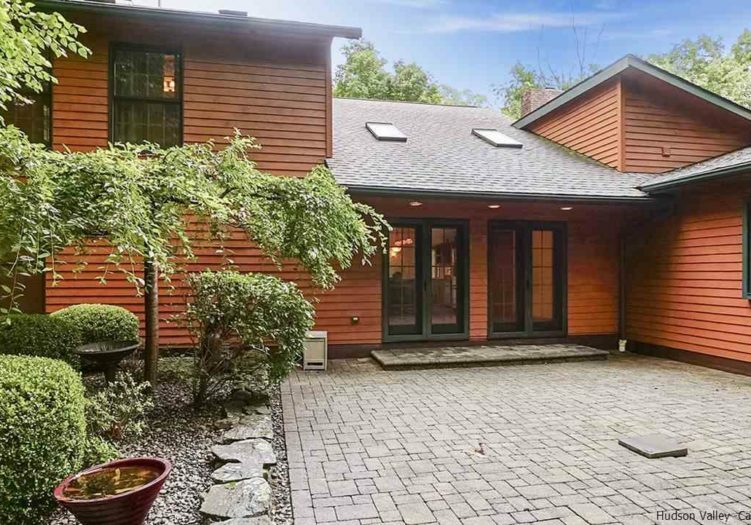 A seasonal creek hugs the property, and a paved driveway leads to a stylish carport. 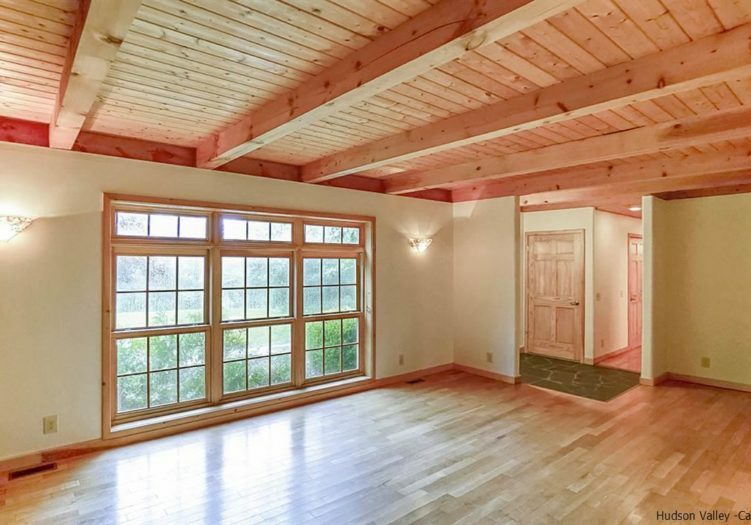 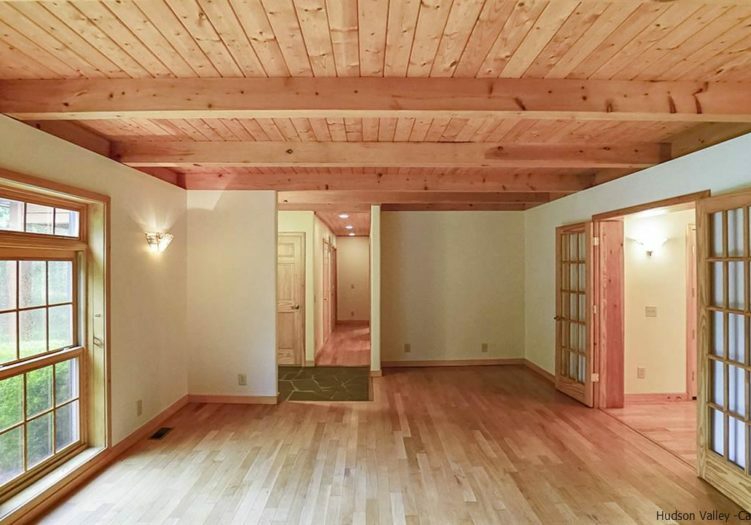 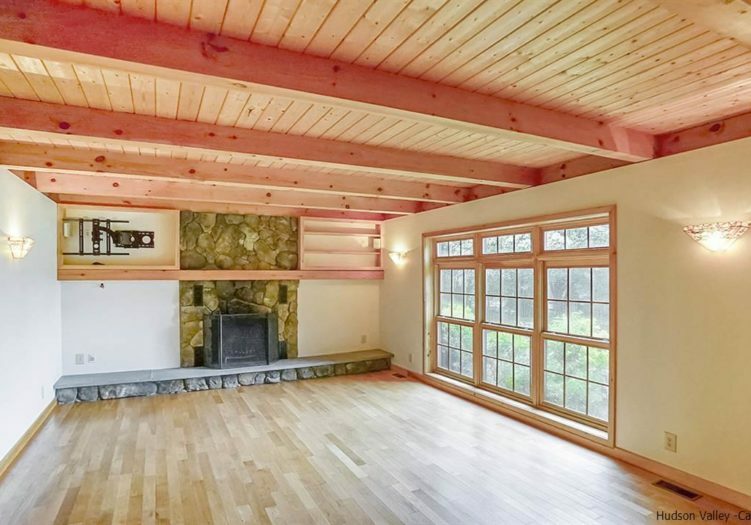 Once inside, you will be welcomed home by a stone fireplace, hardwood floors and beamed ceilings. 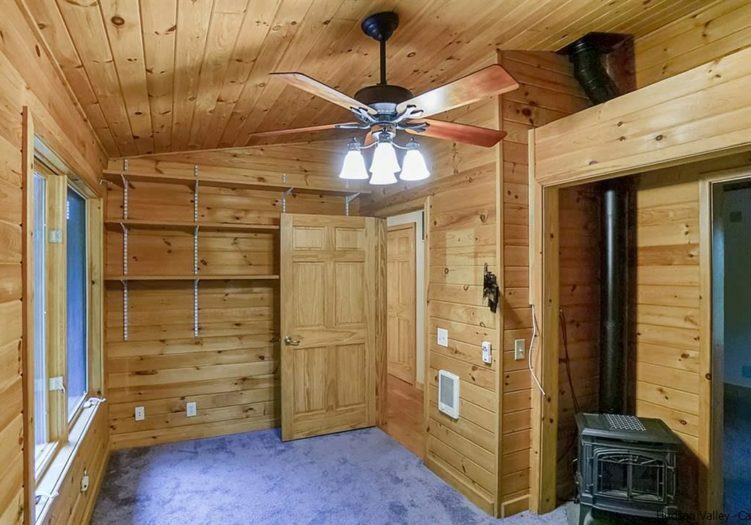 The first floor is replete with 3 bedrooms, and the possibility for a 2nd master suite that is uniquely charming with an individual gas stove. 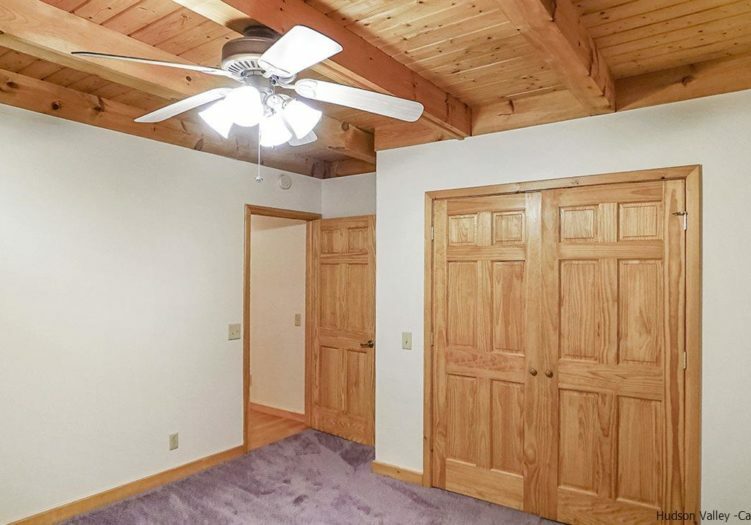 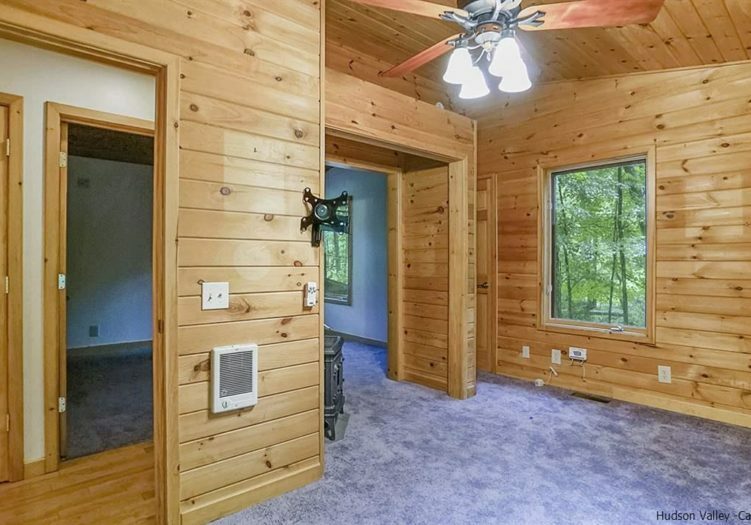 There are two full baths and impressive space in multiple closets all throughout the first floor. 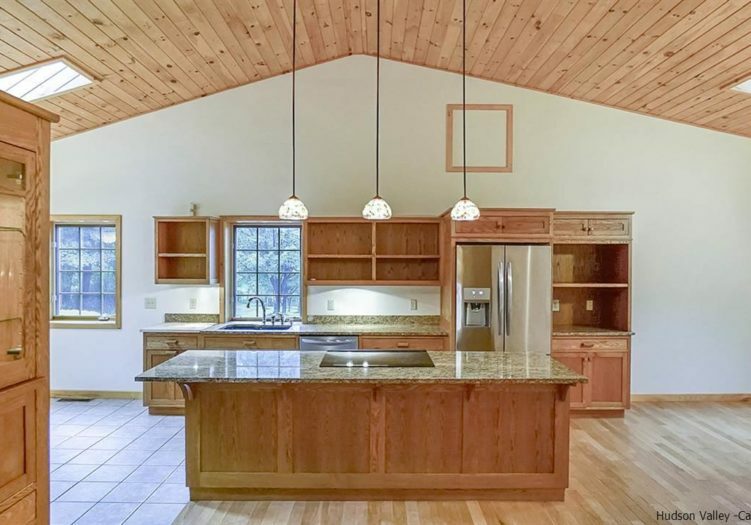 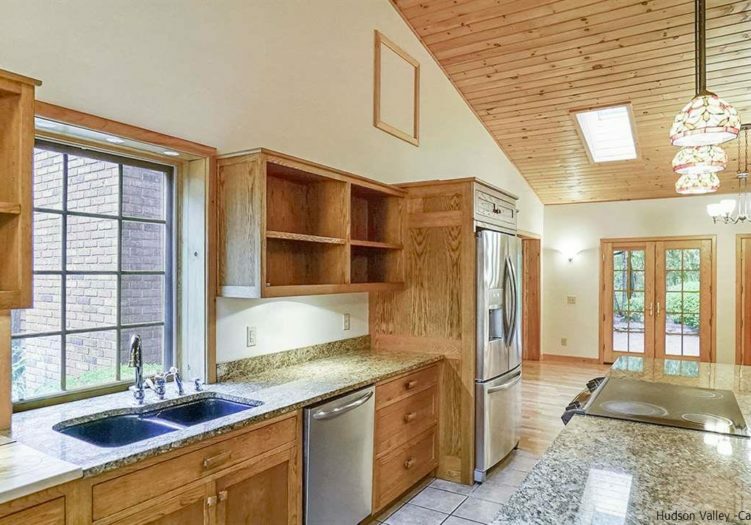 The kitchen and dining room are part of an open floor plan with access to a private patio, vaulted ceilings and custom built-ins, making this house a perfect home for entertaining. 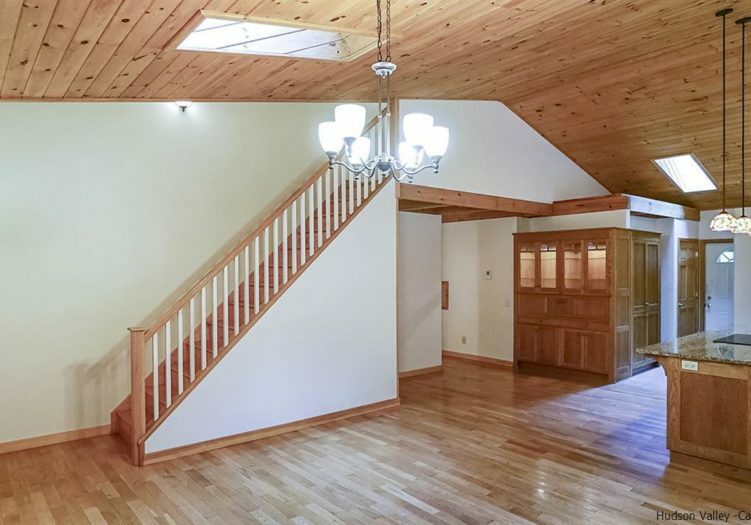 Follow the stairs up to the master suite and you'll be transported to a private bedroom with skylights, a full bath and your own secluded deck, large enough for lounge chairs or even a romantic dining experience. 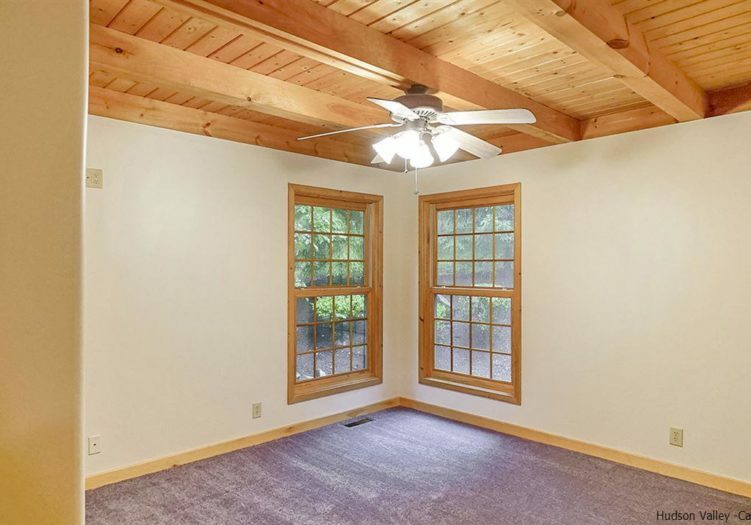 Abundant natural light, central a/c, fresh paint, stainless steel appliances, granite counter-tops and large basement are just a few more details that make this house an immediate must see that won't be here for long.